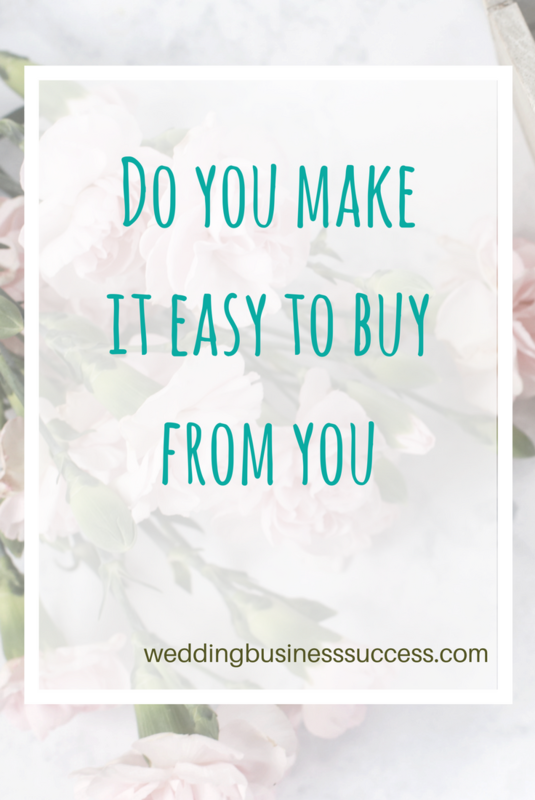 Do you make it easy to buy your wedding services? So many wedding industry people are wonderfully creative but are not natural sales people. Most of us feel uncomfortable with pushy selling techniques, and they just won’t work for long with brides. But there are things you can do to make it easy for customers to buy from you. I’m going to start with a story from our own wedding a few years ago. We made an appointment to visit a local cake maker. She talked about her work, showed us her impressive portfolio and we chatted for about 45 minutes about what we wanted (we weren’t sure). The one thing she didn’t have were samples to taste, but she had good testimonials and we were keen to get it sorted so would probably have booked there and then. However, instead of getting out her order book, she told us that she would be exhibiting at a local wedding fair in a couple of weeks and would have samples to taste then. We went along to the wedding fair, chatted to her husband (she wasn’t there) and tasted the samples. They were horrid – soggy and unpleasant. At that point we started looking again and eventually found another cake maker. So how can you avoid turning a near certain sale into a lost opportunity? By not having the tasting samples available at the original appointment this lady was wasting our time and her own. This is not the place to cut corners. Whether its tastings, stationery, dresses, albums you need to make the bride really want to buy your product. This is the one many people struggle with, but it’s so important. 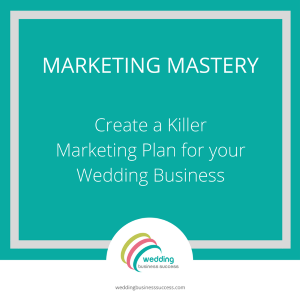 Take a look at your wedding business and your sales process – are you doing everything you can to convert enquiries to clients?